A Plus Education covers curriculum, educational research, information science, librarianship, management, policy administration, psychology, sociology, teaching and training. Covers all aspects of business including marketing, industry, management and organisational behaviour. 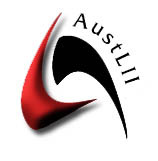 Australia's official statistical organisation. The site provides access to the full range of ABS statistical and reference information, including national and state-based statistics, and census data. Academic OneFile includes more than 6,000 full-text titles; five newspaper indexes; a total of nearly 10,000 titles. Full text articles from 1980 onwards. A fully searchable collection of high-quality books in the Humanities, recommended and reviewed by scholars. Preserves all materials produced by the General Conference, including minutes, reference files, reports, correspondence, publications, recordings, films, video and audio tapes, and photographs. With broad coverage of agriculture and its related fields, this collection provides a comprehensive view of this growing body of knowledge. Access to current and authoritative content that spans the industry -- from practical aspects of farming to cutting edge scientific research in horticulture. Allows you to search four databases at once for citation details, and where possible the abstract and link to the full text, for treatments relevant to Physiotherapy (PEDro), Occupational Therapy (OTSeeker) and Speech Pathology (speachBITE). The fourth database, PsycBITE, contains research about cognitive, behavioural and other treatments for psychological problems and issues occuring as a consequence of acquired brain impairment (ABI). Each database provides critical appraisal details for many of the studies that are indexed. AMP is a growing online collection of Australian classical and experimental music drawn from the ABC's vast archive of music recordings. Topics include Bible and archaeology; human culture and society; church history; pastoral ministry; world religions; theology, philosophy, and ethics.It is updated quarterly. Gives information on Australian biodiversity by allowing researchers to combine and map data on Australian species. Contains digital data generated by researchers working with Australian Aboriginal and Torres Strait Islander people and issues. ATSIDA staff recognise the need for respectful treatment of this data and work with researchers and the communities to which this material relates to ensure this happens. Australian Aboriginal tribal database provides information on Aboriginal tribes, nations, languages and dialectal groups. The database contains alternative names, some places of location, bibliographic references, and links to archival files at the South Australian Museum. Provides free internet access to Australian legal materials, with over four million searchable documents. Contains collections of both primary and secondary materials. Australia's pre-eminent dictionary of national biography. 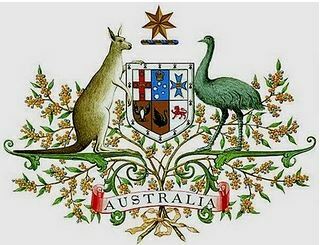 There are over 10,000 scholarly biographies of significant Australians who died before 1980. Australian music and music related resources from both hard copy and digitised form held by libraries, archives and other cultural institutions across Australia. Unique Australian words and their meanings. 2. Digitised/online newspapers from other organisations that are free of cost including Australian Newspapers beta, Papers Past (NZ), Sydney Morning Herald. 3. News from web sources. Information on Australia's Ramsar sites, wetlands of international importance listed under the Ramsar Convention, and the nationally important wetlands listed in A Directory of Important Wetlands in Australia is found in this Australian Wetlands Database. Digital versions of theses produced by postgraduate research students at Australian universities. An author and subject index covering over eighty religious and theological journals published in Australia or New Zealand.